4) Enter the Coupon Name. 5) Type the Coupon Code the customer will need to enter to get the discount. 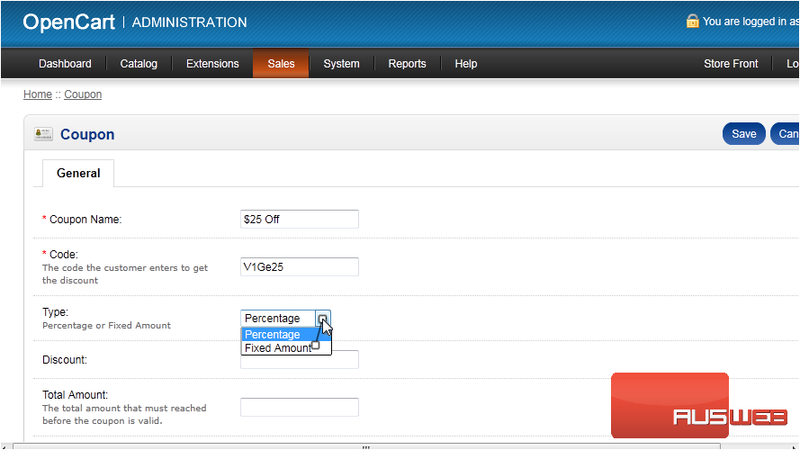 6) Choose if the discount should be a percentage or fixed amount. 8) Set the Total Amount that must be reached before the coupon is valid. 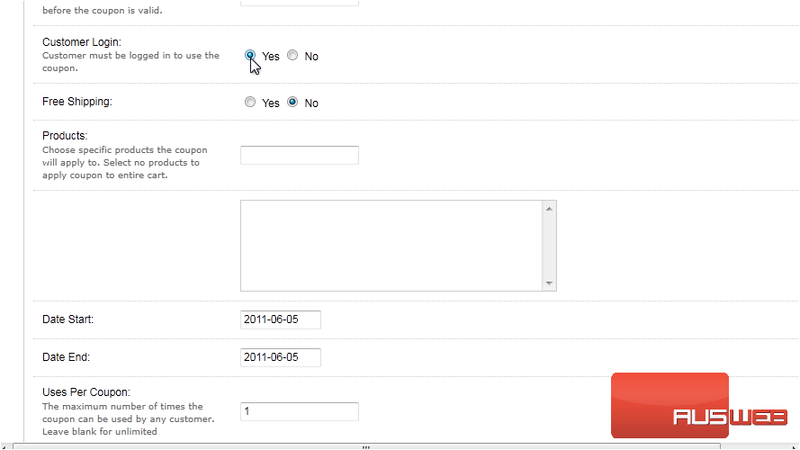 9) Choose if the customer must be logged in to use the coupon. 10) Set whether this coupon should include free shipping. Also you can choose specific products to which the coupon will apply. 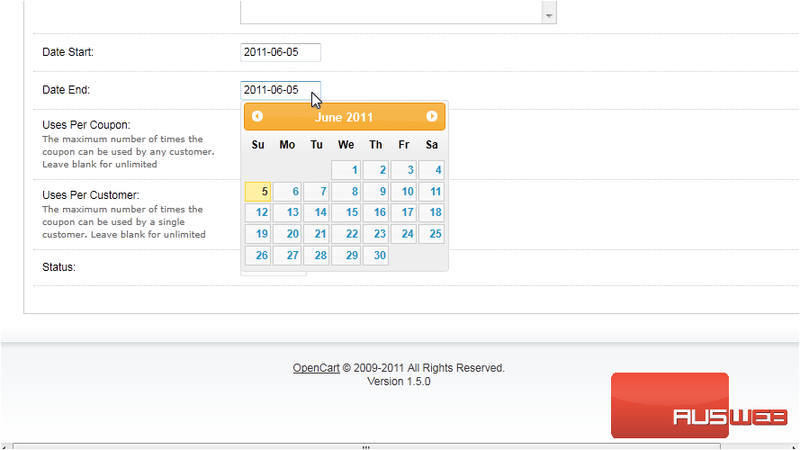 11) Click in the boxes and use the pop-up calendar to set the start and end dates this coupon will be active. 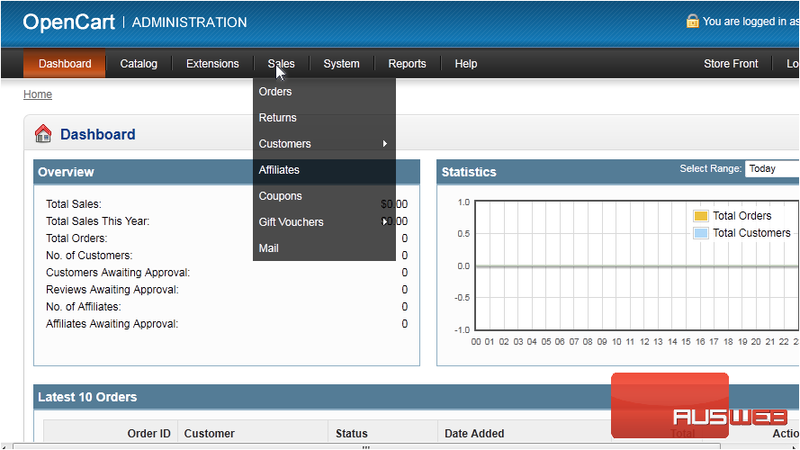 12) Enter the maximum number of times the coupon can be used by any customer. Leave the box blank for unlimited. 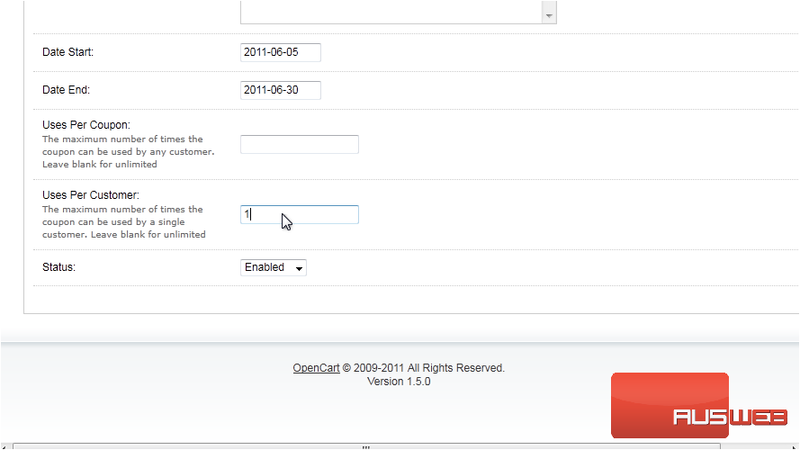 13) In this box, set the maximum number of times the coupon can be used by a single customer. That’s it! Now you know how to setup special promotions in OpenCart.